Dr. Goutam Brahmachari currently holds the position of a Full Professor of Organic Chemistry in the Chemistry Department, Visva-Bharati (Central University), Santiniketan, India. He also serves as a member of the Indian Association for the Cultivation of Science (IACS, Kolkata), Indian Science Congress Association (ISCA, Kolkata) and as an Editor-in-Chief, Signpost Open Access Journal of Organic and Biomolecular Chemistry. Prof. Brahmachari serves as a member of the editorial board of several international journals. Several students have received their Ph.D. degree under the supervision of Prof. Brahmachari during this period, and many are presently working with him both in the fields of natural products and synthetic organic chemistry. Prof. Brahmachari’s research interests include (i) isolation, structural determination, and/or detailed NMR study of new natural products from medicinal plants; (ii) semi-synthetic studies with natural products; (iii) evaluation of biological activities and pharmacological potential of such phytochemicals and their derivatives; and (iv) synthetic organic chemistry directed towards ‘Green and Sustainable Chemistry’. 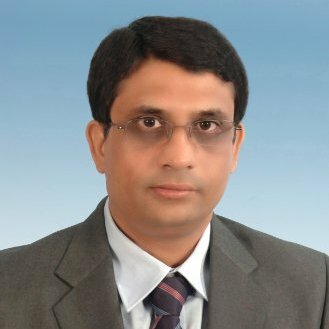 With more than fifteen years of teaching experience, he has produced so far more than 130 publications including original research papers, review articles and invited book chapters in edited books in the field of natural products and organic synthesis from internationally reputed presses. He is the Elsevier Series Editor of the book series "NATURAL PRODUCT DRUG DISCOVERY" Prof. Brahmachari has authored/edited a number of books so far from internationally reputed major publishing houses including Elsevier Science (Netherlands, USA), Wiley-VCH (Germany), Royal Society of Chemistry (London), CRC Press (Taylor & Francis Group, USA), Alpha Science International (Oxford), World Scientific (Singapore), Research Signpost (India), and Narosa Publishing House (New Delhi).